personalised engraving for champagne stopper? Come quickly, I am drinking the stars! - Dom Pérignon. 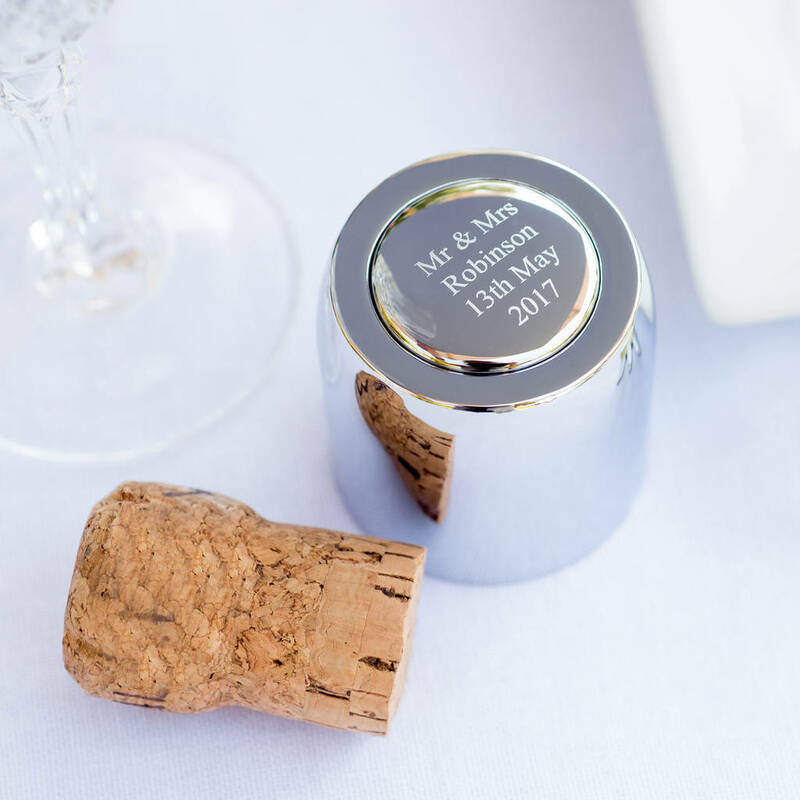 Whether it be for a bride and groom on their wedding day, complete with an engraving of their names and wedding date, for a landmark birthday or simply for that bubbly someone who appreciates a beautiful bottle of champagne ... our exquisitely designed stopper is the perfect gift for your loved one's special occasion. Made from chrome-plated zinc alloy and featuring an elegant polished finish, your stopper will keep your champagne full of bubbles long after it's been popped! Oh So Original! 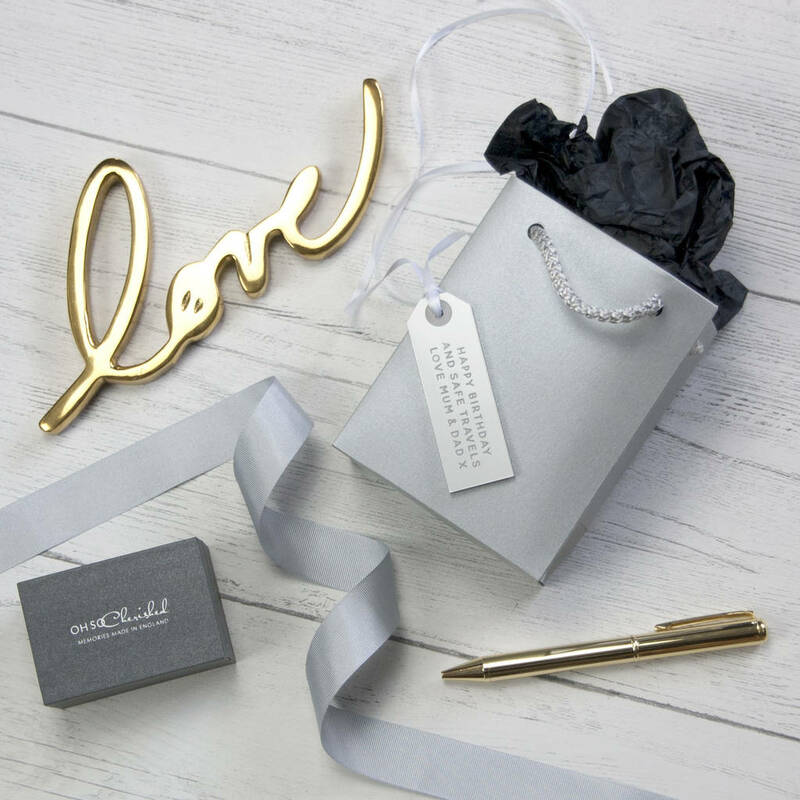 Engrave a name, date or exclusive message (up to 40 characters) onto the burnished top to mark your most memorable occasion. 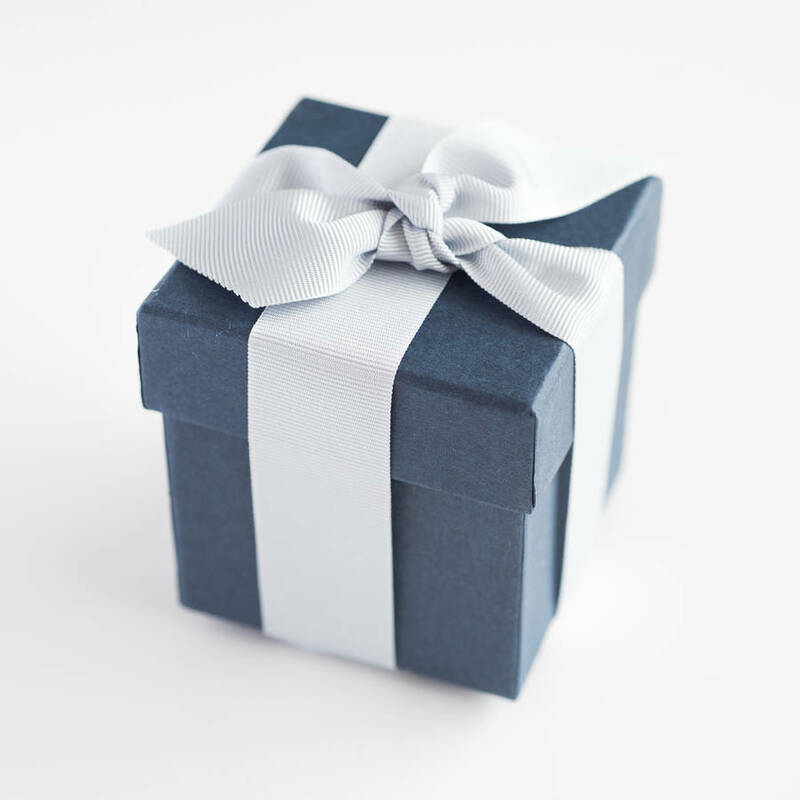 Your stopper comes in a quality blue gift box with ribbon.